What’s an avid watch collection (yes, they exist) to do when he realizes that his hobby just isn’t enough? Overcoming the shock that watch collecting could get dull was probably the easy part, but what happened next was a stroke of brilliance. 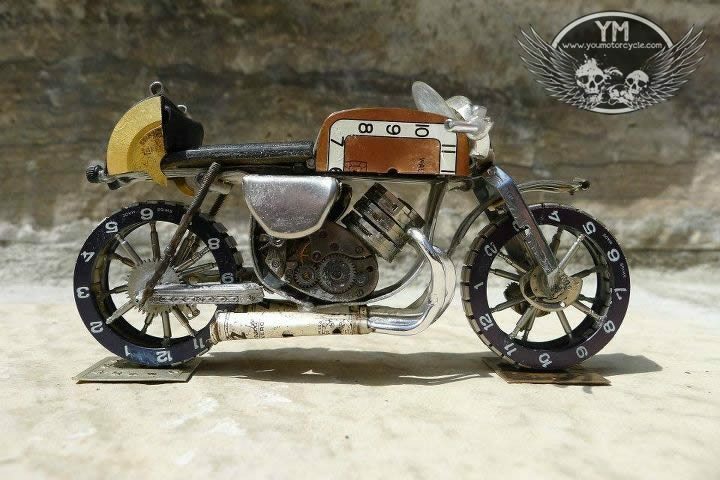 Watch Parts Motorcycles, based in Toronto, Canada, has spent hundreds if not thousands of hours building handmade miniature motorcycle models out of thousands of parts from hundreds of watches. I’ve been building these for just over a year now and started off tinkering with the various watch parts I acquired over the years of being an avid (if not obsessed) watch collector. I made some cufflinks out of watch parts but didn’t find it challenged my creative spirit and truthfully that is what I set out to fulfill with this project. 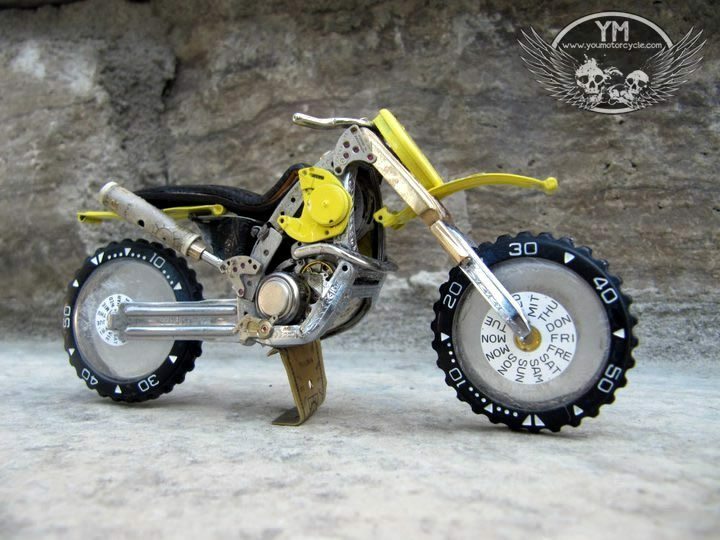 I kept trying new things to build and one thing led to another and my first motorcycle was built. Not being a motorcycle rider I started a Facebook page to get some input from motorcycle enthusiast to guide me through some of my builds. They were very helpful and my builds started to become much more intricate with their help. 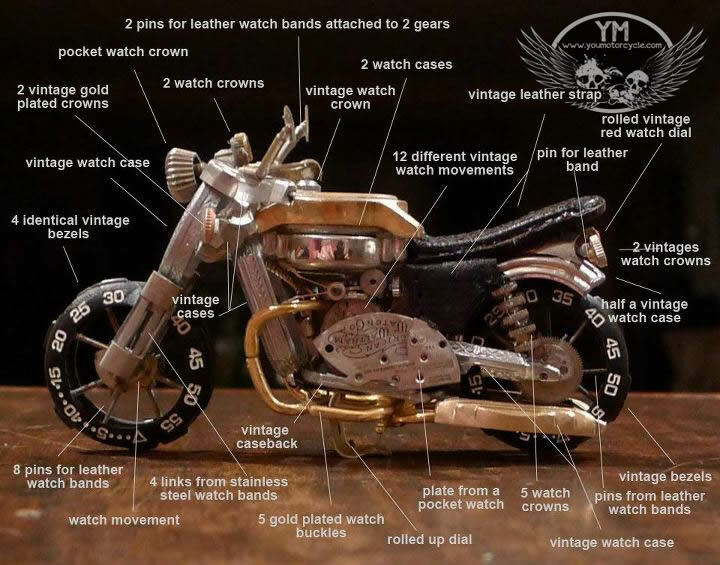 I usually start with a photograph and then dive into my bucket of watch parts to find what pieces work best for the motorcycle I am going to tackle. 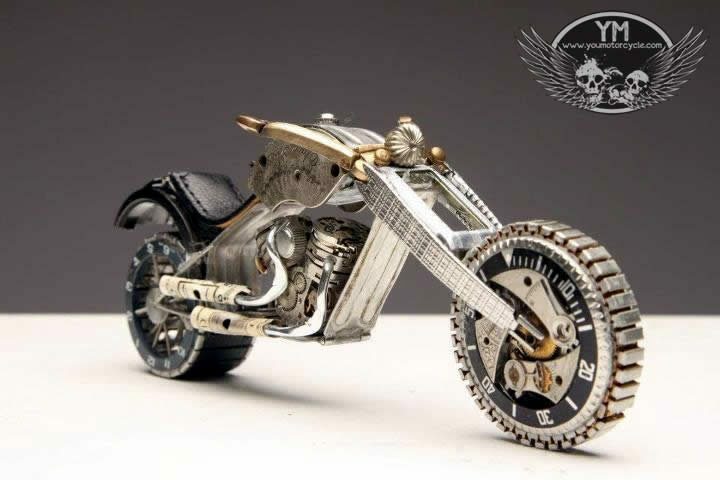 Some people ask if they can send me a watch to make a motorcycle but don’t realize that sometime over 30 different watches go into a build. Just the wheels alone usually take over 6 different watches. They typically take 40-50 hours to complete. Most of my sales are international. That was pretty surprising to me. I have been overwhelmed by my Facebook fans. I have a very hard time considering myself an “artist” but these “fans” are very open with their compliments which make me a tad uncomfortable. Thank you for sharing your talents with us. 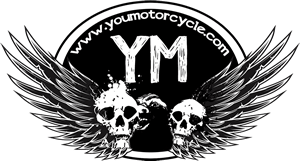 Be sure to Like Watch Parts Motorcycles on Facebook, and Like YouMotorcycle too!